Vietnam has entered a deeper stage of international integration than ever before. We have diplomatic relations with over 193 countries, with economic, trade and investment relations with many countries and territories. The integration process brings many opportunities as well as brings challenges to the extremely big competition. Vietnamese enterprises have been approaching and applying the ERP system in the process of business operation in order to improve business efficiency and competitiveness in the domestic and international markets. ERP has proven to be an effective, intuitive application that can facilitate the efficient management of production and business. ERP can be applied to all types of operations of large or small enterprises, domestic or multinational companies. 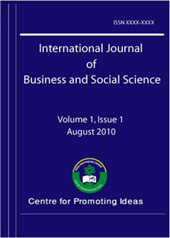 Therefore, the author chose to study the topic of factors affecting the application of ERP system in the management of manufacturing enterprises in Singapore Industrial Park, Binh Duong Province, to find out the factors Influence the application of ERP system into the management of enterprises and propose solutions to apply the ERP system to the management of manufacturing enterprises in Vietnam's industrial parks in Binh Duong province. The analysis of data from SPSS 24.0 shows that the factor model influences the application of ERP systems to the management of manufacturing enterprises in Vietnam's industrial parks. Depend on 6 factors including: Support commitment of senior managers, ERP consultant qualification level, ERP project team, Business characteristics, Technology resources Information, characteristics of the ERP system.